Costa Rica is within the top 5 most important destinations in the world for bird watchers. If you have ever been to Costa Rica or if you live there, you have definitely seen an ornithologist with his telescope or binoculars en search of birds, or a group of “birders” thrilled because the just found that special bird they were looking for. It is literally thousands of bird watchers from all over the world that visit our national parks and wild life reserves each month and each year. In Elemento Natural we also love this touristic activity, and we will now explain to you some of the reasons why engaging in a bird watching tour in Costa Rica is actually a brilliant idea. No doubt, there are other excellent destinations for bird watching in the world. But, did you know that we are in the top 5 most important destinations in the world for ornithologists? We are just behind nature giants like Perú and Brasil with their imponent amazon rainforest, or behind biodiversity giants like Ecuador with its Galápagos. So, the answer is yes… Costa Rica es one of the main destinations in the world for avifauna! We are on the right track, since we already know we are within the 5 destinations most visited in the world by bird watchesr. Now, we also need to take into account that Costa Rica is not the country with more bird species in the world: Colombia, Brasil and Perú are in the top 3 with 1700 to 1900 species each, followed by other several countries including many african and some asian. In Costa Rica we have a little bit over 900 species, however we need to add that our total area is only 51000 km2; in other words, we can fit 25 times our country in Perú, some 50 times in Colombia and 100 times in Brasil. So, to make it clearer, en a very small country we have a high concentration of bird species: bird density and diversity makes us a very unique destination. 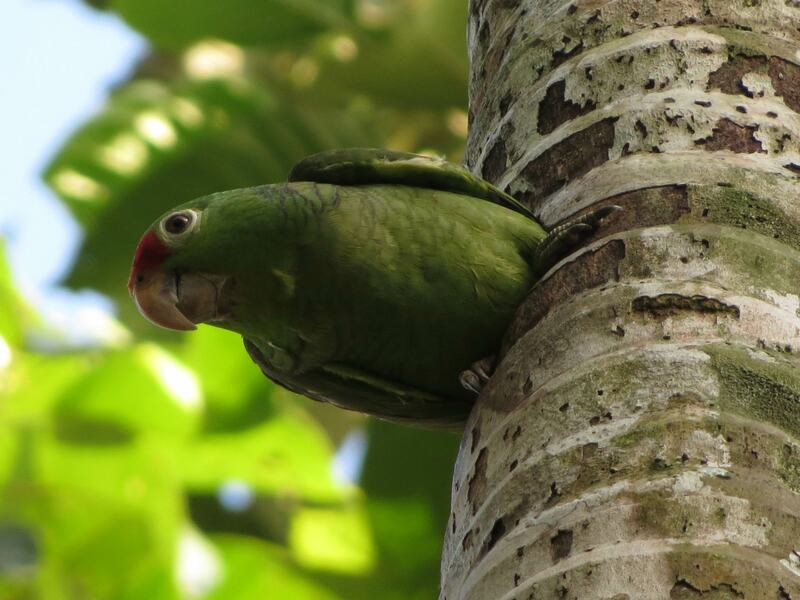 Last but not least, with a large network of public universities and other involved institutions, Costa Rica has deeply studied the status of birds in the country, residents, migratory, endemic; status of its habitats and health of the populations. All this information has been made available and utilized efficiently by the private sector, to foster the creation of adequate infrastructure near the main birding hotspots, near the national parks or the natural reserves and biological corridors. All this means, is that accesibility to our birds populations is superior. For this reason, when a bird watcher comes to Costa Rica it is pretty easy for him to walk out with a list of 400 to 500 species…that´s just golden! “In Costa Rica we have a little bit over 900 species”. Now…when is it the best time to travel to Costa Rica for bird watching? The answer will depend on many factors: do you have a specific species in mind? Is this your second or third visit? Do you have a special interest in a particular zone or habitat? Many experts say that the best time is at the end of the dry season, since there are many species ending their nesting period, so it becomes easy to watch them in their nesting sites. But there are others that say that in the middle of the rainy season it´s better because you get to see more migratory birds. In Elemento Natural we encourage you to visit no matter when through the year and enjoy this amazing activity, we promise you will leave happy and with a bird-list full of new species! Comment On Is Costa Rica really a good bird watching destination?